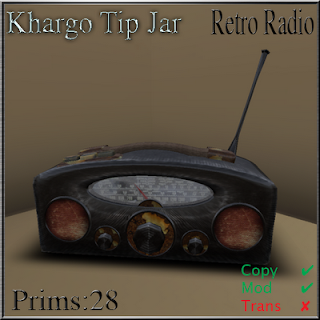 We have 3 new tip jars available! 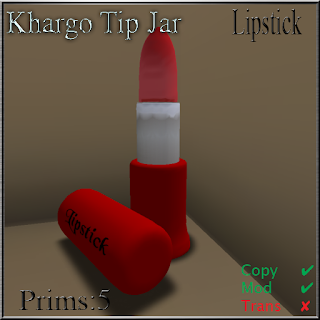 Check out Khargo: Tip Jars for the full range. Perfect for clubs and hangouts. A beautifully made tip jar with that beaten up grungey look. Low prim but high style. 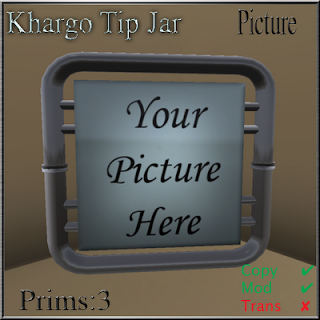 Add your favourite picture or texture to make this tip jar unique. It's cute. It's girly. It's for divas. It's only 5 prims. These tip jars are personal tip jars and do not support logging on by other avatars.